Frankly, trying to make a decision while reading Facebook posts and comments is a terrible idea and could be a disastrous influence. For Facebook, not only wants to get in our minds, it was recently announced they were using posts and comments to influence emotions of users. Now, I’m all for social research, but that just doesn’t seem right. I have a better solution for decision making—helmet time. Helmet time? Yes, helmet time. What is that you ask? 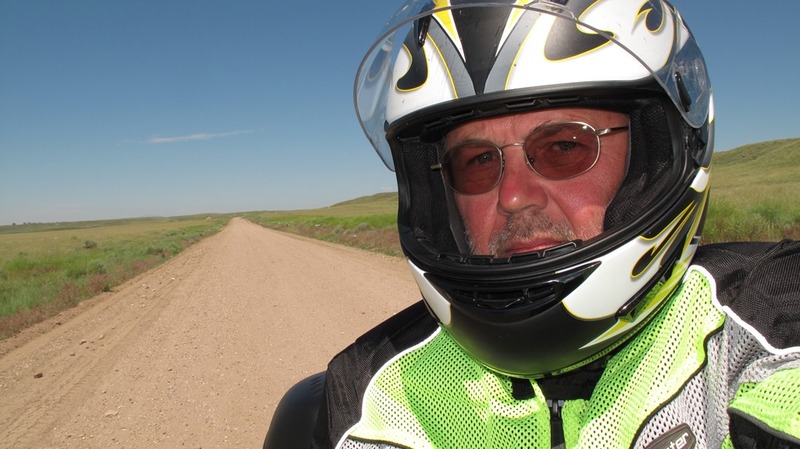 Well, helmet time occurs during a motorcycle ride and the helmet does double duty as your “thinking cap.” It can be very productive, and it’s safe because you’re wearing the proper gear including a helmet. You won’t be answering the phone or texting. It’s just you, the road, and the thoughts in your head, and empty roads can be some of the most productive places. For some time now, I have been struggling with my motorcycling efforts. I have wavered back and forth between selling what I have and buying a second bike. The bike at the top of that list is a new Kawasaki KLR 650. I’ve always wanted one. Within the past couple of weeks, I have gone to the dealer to buy one. The first time I went, the one sitting on the floor had just been sold. The second time I started out, I was riding the V-Strom, and the farther I rode on this fine motor bike, the more I questioned why I would want anything else. I even had a check in my billfold. That’s how close it was. I never arrived at the dealer. Of course, I shared this with my wife, and she suggested I wait a week or so to see if it’s really what I want to do—buy another bike. It’s been two weeks, and I have been perusing through all the KLR 650 Riders Group posts, photos and comments on Facebook. This morning, I put a fresh blank check in my billfold, and headed up the highway on my trusty V-Strom towards the dealer. The smoothness of the bike, the effortless pull of the engine, the knowledge that this bike truly gets 60+ miles-per-gallon. It has taken me everywhere I wanted to go—without issues and without worry about whether or not it will get me home. Eastward I ride, thinking about this motorcycle and how it meets all my needs, and the “thinking cap” starts its process … again. My conclusion—again—why would I want to ride anything else. Where would another motor bike take me that this one can’t? Just east of Morrow, Ohio, on Route 22/3, I reach the intersection of SR 123. To continue towards the dealer is straight ahead…. I turn south to follow more twisty roads before turning back towards home. I put the blank check back in the checkbook, and I pull up my Facebook account to delete one or two motorcycle groups that were wasting my time and my more important helmet time.